The UFC have apparently redesigned their championship belts in time for UFC Fight Night 143 where the Flyweight title will be on the line in the main event, between Henry Cejudo and Bantamweight Champion, TJ Dillashaw. Renowned MMA journalist, Ariel Helwani has communicated the news on his Twitter account, complete with a photograph of the new title belt. The UFC is referring to the title as it's "Legacy" belt and breaks down the details of the design on its own Twitter handle. 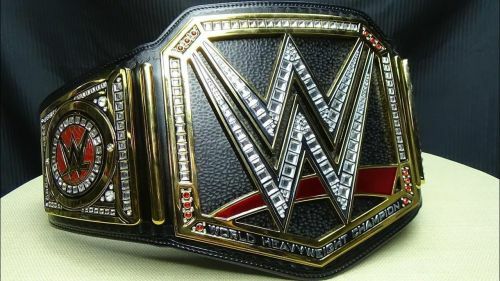 The new belt design has already generated plenty of debate online, not least due to its similarities to the title belts of a certain other company; namely WWE. The new UFC belt design holds more than a passing resemblance to the current WWE Championship title belt, currently held by Daniel Bryan. 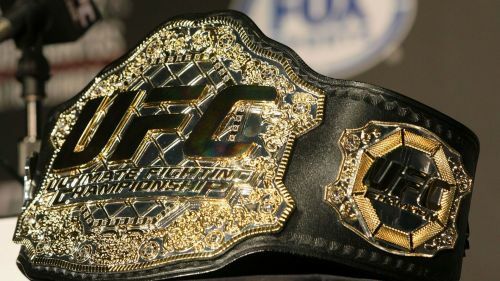 A centralised company logo adorning the centre of the championship surrounded by gold trim with black leather, the new UFC design is formatted in exactly the same way as WWE's top belt. 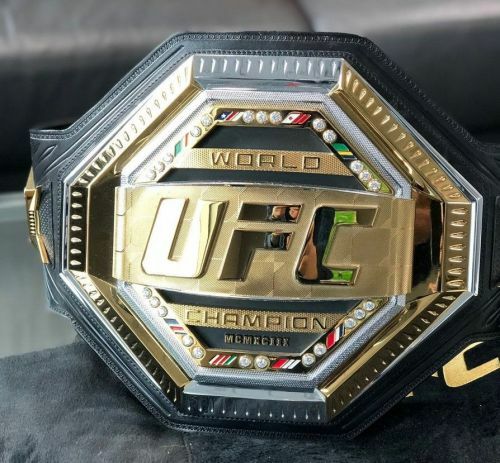 Is the new design an upgrade on the classic UFC Championship belt designs? It is significantly different that's for certain and it will up to MMA fans worldwide to determine whether the new design will be accepted long-term as a replacement for the previous versions of the UFC titles. The new belt design will seemingly debut at UFC Fight Night 143 which takes place on January 19, 2019, where either reigning Flyweight Champion, Henry Cejudo or his challenger, Bantamweight Champion, TJ Dillashaw will don the redesigned title for the first time. What do you think of the new belt design? Let us know your thoughts and opinions in the comments section below.